This happens to many people, once or more. You deleted important files or folder and emptied Recycle Bin immediately, but only found out that you're not ready. Fortunately, now you realize it ant it's not too late. The recently deleted files will still on your hard drive as long as there is not new files are saved to your computer. 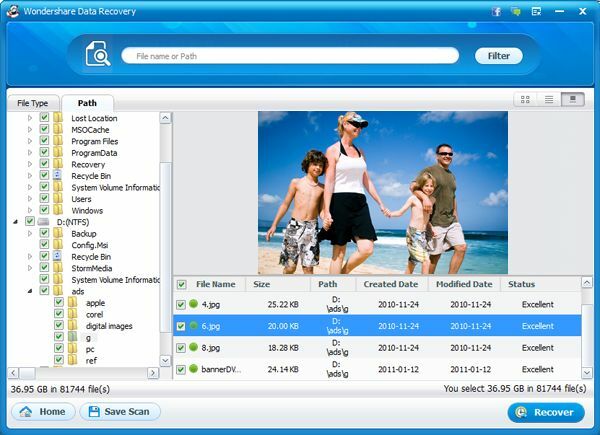 With the help of third-party file recovery software like WS Data Recover, you can undo Empty Recycle Bin and restore files to your computer. Now give it a try. By clicking the download buttons, you'll save the data recovery Setup file to your computer. To avoid overwriting deleted files, it's better to install the software to external hard drives or at least the partition or disk other than the one your data reside. 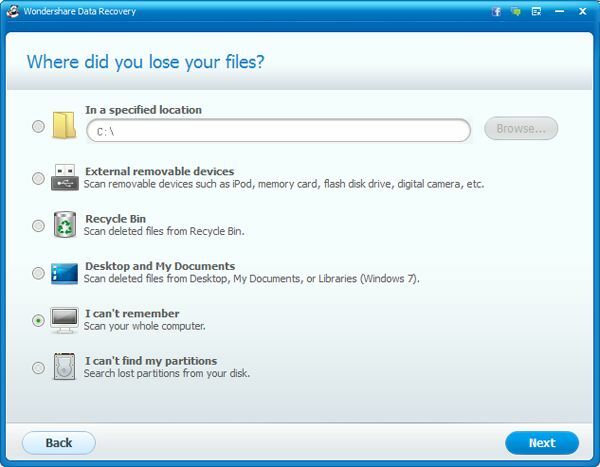 Now follow the easy steps to undo Empty Recycle Bin using the Recycle Bin file recovery software. 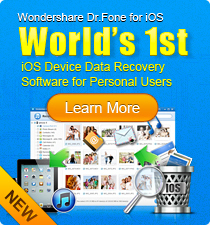 Wondershare Data Recovery provides an easy Wizard mode to restore emptied Recycle Bin files step by step. Enable this mode and choose All File Types. If you're recovering the specific file type, choose it as you need. 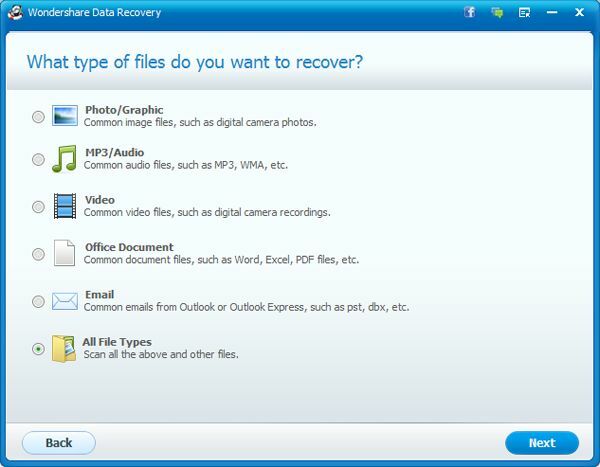 In Standard mode, you have 4 options to recover Recycle Bin files: Lost File Recovery, Raw Recovery, Partition Recovery and Resume Recovery. The next step is to choose where your files located. Here select Recycle Bin in this case. If you deleted files by Shift+Delete, the files won't be stored in Recycle Bin, so you need to choose the folder or drive they were stored in. Click Next to start scanning deleted files. In a while, all Recycle Bin files will display in the result list. You can directly go to the Recycle Bin folder on the left or type a keyword to search for files. You can also check the entire Recycle Bin and click Recover to export files to the selected folder. Empty Recycle Bin Tips: Before "Empty Recycle Bin", spend minutes to ensure there is not any important files. To move files from Recycle Bin to its original folder, click Restore. Q: I accidentally did a Right Click Delete/Empty Recycle Bin. Is there a FREE data recovery software to undo Empty Recycle Bin? A: Yes, there is free data recovery software, but usually comes with some limits. Check them out though. Download this recycle bin file recovery software now and follow the video tutorial below to undo Empty Recycle Bin in Windows. The Mac version is also available. See Undo Empty Trash on Mac.